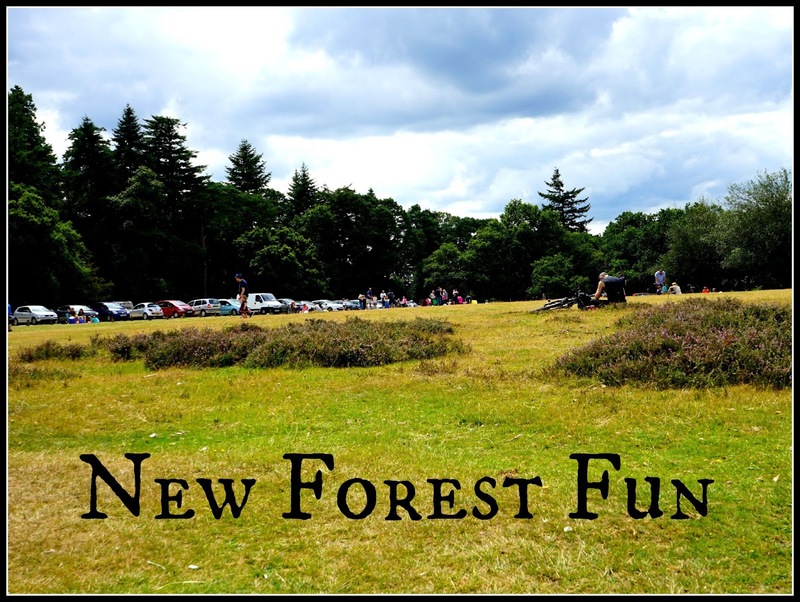 The New Forest is less than an hours drive from our home in Dorset but sadly it's somewhere we haven't visited very much. I've driven through countless times on the motorway up to Southampton and London but we've literally only visited a handful times in the last few years. Today we planned to meet up with my sister in a place called Bolderwood which is one of the most popular spots in the New Forest and famous for it's deer sanctuary. It was a lovely drive through the forest to get to Bolderwood and we saw lots of ponies roaming around by the side of the roads. You have to be so careful when driving in the Forest because the ponies have no fear of the cars and will just walk out in front of you! 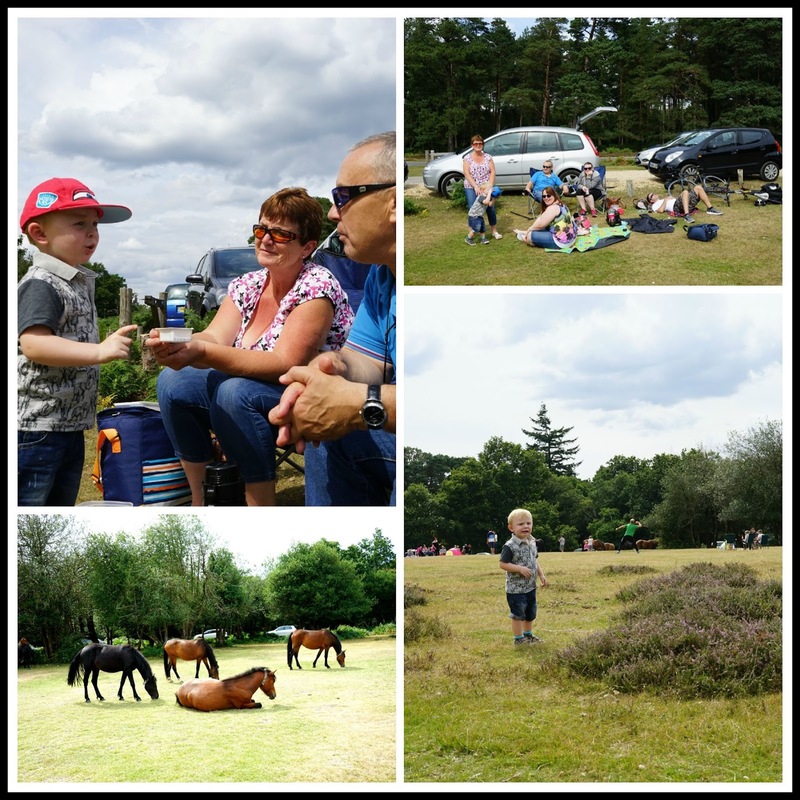 When we reached Bolderwood we couldn't believe how busy it was - people having picnic and bbqs, families playing rounders and football, cars parked all along the side of the roads and ponies grazing everywhere! We managed to get parked and soon spotted my parents, followed soon after by my sister and her boyfriend who had cycled from Southampton. We had a lovely picnic and the sun was shining, it was nice to sit and relax just watching the world go by. Elliot was fascinated by the various piles of animal poo (is this a boy thing?!) and there were plenty of sticks to keep him amused - he likes to pretend sticks are magic wands! There are around 3000 New Forest ponies roaming freely in the forest and we did have a bit of a scare when a small herd came galloping towards our picnic spot, I've never seen my Mum move so fast!! They might look tame but it's actually against the law to feed them - you could end up with a £200 fine and a criminal record if you do so it's best to just admire from a distance. After a trip to the ice-cream van we walked across to the Deer Sanctuary which is a short walk from the grassy picnic area. 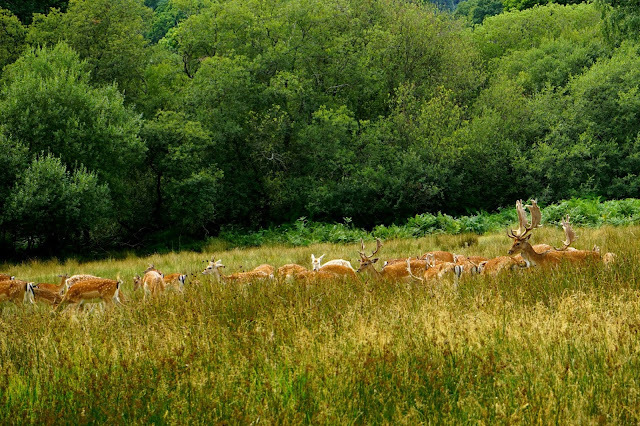 There is a purpose built viewing platform and the deer herd often remain in the meadow after being fed. It was amazing to see so many deer up close! There are lots of walks to do in the area, including a fun looking Superworm trail. We didn't time to do any of these today but we are definitely going to return soon to explore the area more. The New Forest is such a beautiful area and somewhere I'd highly recommend visiting if you are in the South of England! Elliot looks like he's about to throw the football at my head in that photo of all of us! What a great place to enjoy a picnic on a summer's day. The ponies are beautiful, I never knew it was a criminal offense to feed them, I wonder if the same applies to the ones on Bodmin Moor here? I love the idea of the deer viewing platform, looks like you had a great view from up there. As for boys and poo I think it applies to all children, it is always a talking point from youngsters staying here with us. Thanks for adding the Country Kids badge, don't forget to link up! Looks like you had a fab time. I'm in love with the New Forest having spent a weekend there a few months ago. I love the way the ponies wander about, I've never been to The New Forest but we live by Delamere Forest. 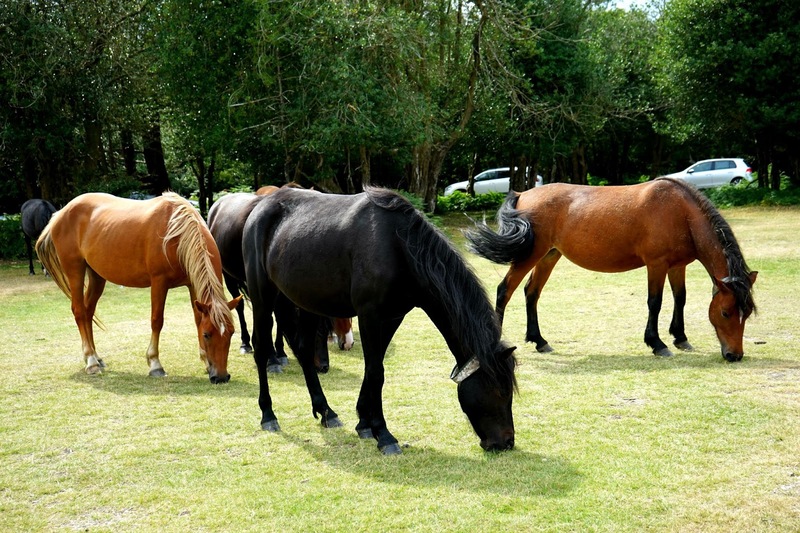 I used to go to the New Forest quite a lot a a child and loved the ponies. In fact I knew some of the people who were part of the group who herded the ponies in for their annual checks and yes, you are right about them being somewhat wild - especially the foals that had been born that year and had had no human contact. 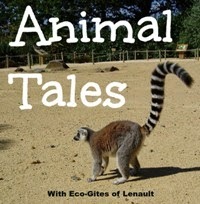 Many thanks for adding our second equine post to #AnimalTales with week.